We're happy to announce that Simon Lereng Wilmont’s engrossing work The Distant Barking of Dogs won yet another award. This time for Best Film in the International Competition of CinéDOC-Tbilisi International Documentary Film Festival in Georgia. This is the 12th award that Wilmont’s tale of disrupted childhood innocence takes home. Other wins include the First Appearance Award at IDFA, top honours at San Francisco Film Festival, Gothenburg Film Festival, Thessaloniki Film Festival and It’s All True in Brazil. "With powerful images and skillful editing, “THE DISTANT BARKING OF DOGS” by Simon Lereng Wilmont is an intimate portrait of two young boys left to live at the conflict line in eastern Ukraine. In an all women’s world, the two children are probing maleness while detonations are encircling the remote village, leaving the inhabitants forlorn and exposed to the approaching war. In a very respectful way, the filmmaker depicts how their grandmother, left as their only protection, tries to guide them on a path to humanity." Dreaming Murakami was the most seen film at this year’s CPH:DOX, and Anjaan’s musing on the art of translation continues to capture the hearts of audiences on its trip around the festival circuit. Most recently in Canada at Hot Docs 2018 where audiences voted Dreaming Murakami the best mid-length documentary. 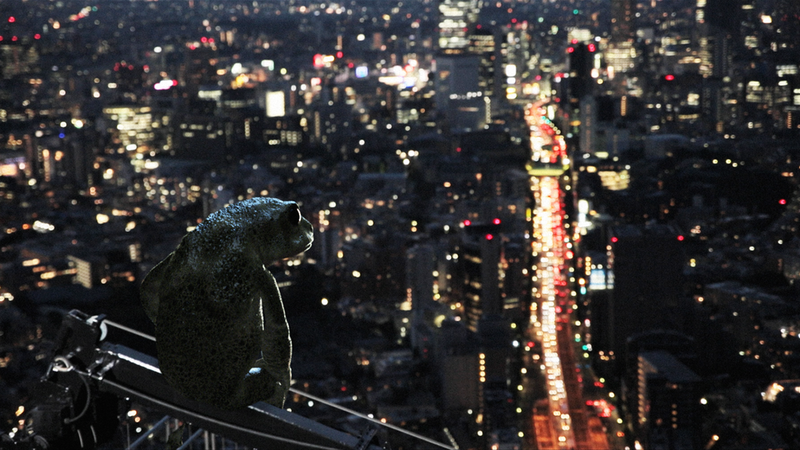 Next up for Dreaming Murakami is DOXA in Vancouver and DOK.FEST in Munich. And first stop for Distant Barking of Dogs after Tbilisi is DOK.FEST in Germany, Millenium Docs Against Gravity in Poland and DocsBarcelona in Spain. You can see the full list of award recipients at CinéDOC-Tbilisi International Documentary Film Festival here. …and check out all the award recipients at Hot Docs here.